The advancements in technology continue to shape the future in different industries, and the construction industry is one of the few sectors experiencing this change. These rapid developments create a safer environment, where efficiency is also improved. That said, allow us to discuss some of the construction tech trends to watch out for in 2018. Perhaps, the most significant technological trend in the construction industry that we should watch out for would be the IoT technology. For the past few months, this has already been affecting the construction industry positively, but we can expect more of it in 2018. 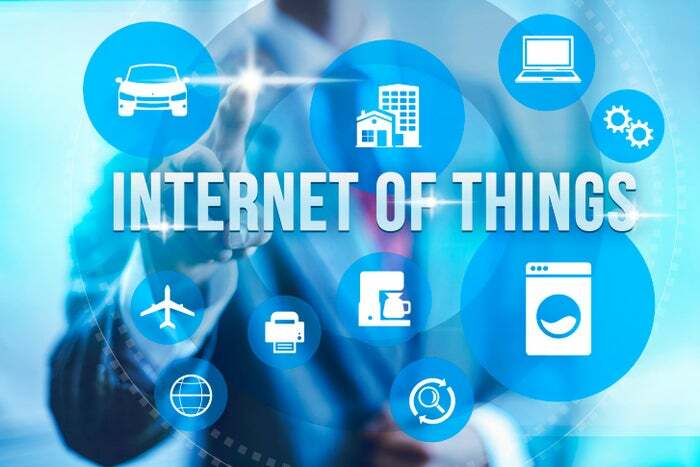 For those who are not familiar with what IoT has to offer, it’s described as a system of physical equipment that has sensors and connected to the primary system. This allows the objects to link and transfer data with each other. The data gathered would be collected and analyzed to make sound decisions later on. In construction, IoT technology is used in some ways, like remote operation, as well as monitoring, construction tool tracking, supply replacement, and equipment repair and servicing. Aside from IoT, there’s also the “Big Data,” which is the main prize of the construction industry. It can be accumulated through building management systems, as well as in the sensor nodes incorporated within built assets. One of the few problems in the construction industry has something to do with the lack of skilled laborers. Fortunately, through the help of robotics, it’s possible to streamline and standardize most of the work processes. To support that, robotic bricklayers have already been manufactured and has helped the construction world to shorten the production time. Through the use of a robotic arm, conveyor belt, concrete art, and state-of-the-art machinery, a construction project can be fulfilled in a shorter span of time. Hopefully, in 2018, more contractor would be open to the idea of utilizing this technology, because so far, a lot of contractors are still skeptical about this. Unmanned aerial vehicles, or what we popular known as drones are monitoring devices that could be directed to a remote method or onboard computer. These vehicles can control the entire area, and send real-time updates to the central system. Furthermore, UAVs can also be automated using preset flight paths, but can also be controlled through the use of remote control of the mobile device. Through this, it would be easier for contractors to perform site surveys and track project progress in real time. Likewise, no need to put human workers in dangerous environments as the drones are capable of doing this task instead. 3D models aren’t only helpful for a general contractor, but for architects and customers as well; because through this, it’s possible to have an overall visualization of the project. For instance, architects can conduct a 3D tour of the construction that would allow them to see the building before it is even built– this would allow them to do the necessary modifications right away, and as compared to a CAD file or a picture on a piece of paper, this is more accurate. Furthermore, a 3D model makes it possible to have a clear visualization of what the building will look and feel once people are already using it– contractors will be able to see if everything is logical, and how each room and area compliments each other. Aside from that, general contractors and supervisors will be able to pinpoint the possible issues right away. As for the customer point-of-view, they will be able to see the final product and familiarize themselves with the new structure and determine if there’s anything they don’t like. Autonomous Material Handling is another construction technology that would have a significant impact in the construction industry. A manufacturing environment would have the privilege to program a set layout into a robot, and through this, the machine will be able to predict unusual activities. They will be able to alert the authorities right away. Even in an environment where things are continually changing, this can still be helpful because through this, together with the use of drones, 3D maps can be created, allowing those who are in charge to determine the loading and unloading zones. Some of these are also embedded with sensors, similar to the ones found in smart safety cones, which means the transfer of information or data can still happen simultaneously.